This article is about EFT, Emotional Freedom Technique, a method of gentle fingertip tapping on ancient acupressure points on the face, body and hands to balance the body’s energy system. Although EFT is NOT intended to cure any disease, it can provide emotional and physical benefits for people living with multiple chemical sensitivity (MCS). If you are new to EFT, be sure check out the diagram of EFT tapping points and/or watch a short video demonstration. You can also take a look at my previous Planet Thrive articles, an introduction to EFT for MCS and EFT for coping with people who don’t “get” MCS. Everyone who has ever tried EFT wants to add in positive affirmations, and wonders why EFT isn’t totally based on affirmations. For an explanation of why EFT primarily uses “negative” sounding phrases, see my earlier article, “EFT for coping with people who don’t “get” MCS,” as well as the many articles about EFT in general available at EFTuniverse.com. 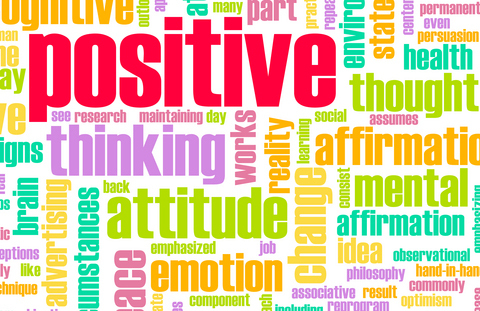 However, in this article, you’ll learn how we DO sometimes include positive affirmations in EFT, using the Choices Method. The Choices Method was invented by nationally recognized EFT practitioner Dr. Pat Carrington. From many years working with clients, she realized that most people consciously or unconsciously reject positive affirmations because they don’t “sound true.” They may come true some time in the future, but they’re not true right now. Examples of old school affirmations: A poor person might use the affirmation “I am rich.” An obese person might affirm “I am slim and fit.” A person with a chronic illness might say “I am vibrantly healthy.” The poor person may indeed become rich, the obese person may lose weight, and the person with the chronic disease may become healthy. But these people are not there YET. So to some people, saying the affirmation sounds like “lying” to yourself. Understand, I’m not saying traditional affirmations are bad; many people have used them successfully. If they work for you, keep using them! But if affirmations have NOT worked for you, this is likely the reason. The Choices Method allows you to circumvent this entire problem. Whatever you want may not have arrived YET, but you can still choose to work towards making it happen. If you are stressed out, your mind may not be able to believe “I feel centered right now” but your mind can’t factually negate a statement like, “I choose to be more centered each day.” The future hasn’t happened yet, so you mind may DOUBT it that you’ll be more centered tomorrow, but it can’t PROVE that you won’t be. The only pitfall to watch out for with Choices is not to choose the negative. If you have a fear of heights, saying “I choose to NOT be afraid on tall buildings” is the wrong way of wording your Choice. Instead, try “I choose to be calm when looking down” or “I choose to feel totally safe on tall buildings.” Why is this so important? Remember the old saying, “Don’t think of an elephant.” As soon as someone says this, you can immediately think of — you guessed it — an elephant. You may even be able to see a vivid picture of an elephant in your mind. Words like “don’t,” “no,” and “not,” just don’t register in the subconscious, so leave them out of your Choices statement. Although traditional EFT encourages you to focus on the negative — using EFT as a giant eraser to wipe away bad feelings — the EFT Choices Method is all about focusing on the positive! If you already know EFT, I encourage you to tap through all the points, saying your Choice at each point. If you aren’t familiar with EFT, start by just saying the phrases out loud without tapping. Then check out a video or diagram of the EFT points, and try speaking your Choices aloud again, this time gently tapping the points. If you keep a journal, you can record Choices there, or use them in any other way you would use traditional affirmations. 1. By themselves. Tap a whole round using your Choices phrase only. i.e. “I choose to be completely peaceful.” For the phrases in this article, don’t worry about having a Setup and a Reminder Phrase. Just use the same Choice for all the points. 3. At the end of a session. If you have been tapping on the “negative” (using EFT to wash away the negative emotions), you can finish with one or more rounds that consist solely of positive Choices. While Choices can be applied to any area of your life, the following are some Choices specific to MCS. I choose to be open to the possibility that my body can begin to heal itself. I choose to forgive myself for all the years I didn’t know about toxic chemicals. I choose to trust my body to start healing. I choose to forgive my body for being sick. I choose for my body to feel safe. I choose to feel completely peaceful. I choose to forgive myself for all the poor decisions I made before I knew about mold and chemicals, because I was doing the best I could at the time. I choose to start listening to my body. I choose to help my body heal by eating a healthy, organic diet. I choose to forgive my brain and body for reacting to so many substances. I choose to trust my body to be on my side. I choose to thank my body for sending me these important messages. I choose to help my body heal by drinking plenty of pure water. I choose to be calm and confident about my health. I choose to trust my body a little more each day. Remember, EFT will NOT do away with your normal caution. Saying “I choose to feel safe around pollens” (even though you happen to be allergic to them right now) makes sense. This is an allergy that many people recover from with proper treatment. Saying “I choose to feel safe when I am near toxic industrial chemicals” does NOT make sense. They are not safe and you shouldn’t be trying to convince yourself to feel safe around them. (Even if you did try to convince yourself to feel safe around chemicals toxic enough to warrant a hazmat suit by tapping while saying words to that effect, your common sense would override such a tapping phrase. EFT absolutely cannot manipulate you to think things you know are not true.) However, you COULD say “I choose to feel safe even though there are toxic chemicals in the world.” A phrase like this is reducing the fear of chemicals, without going against common sense. Lisa, you’ve explained the Choices method very nicely. And you’ve brought out a very good point about choosing the positive (I’m calm when I look down), not the NOT version (I choose NOT to be afraid). Thanks for this post! I worked with you briefly many months ago. This new information rings very true with me. I think it is necessary to be positive for this to work. I was not comfortable with the negative emphasis with the previous way of doing things.